Model R End Seals are available in five (5) different sizes to accommodate a wide range of carrier/casing diameter combinations. 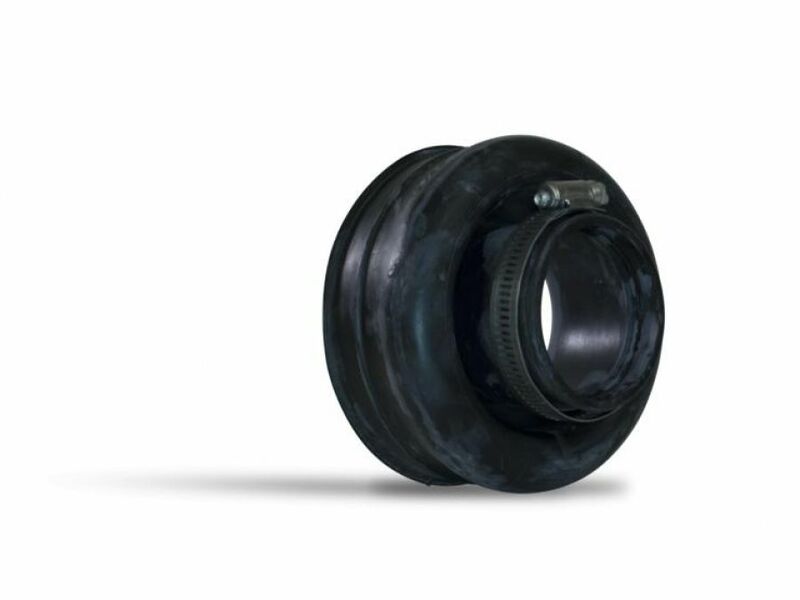 A unique "cone" design, with molded-in dimensions, are easily cut to size for a correct fit on the carrier pipe. Stainless steel bands are included for clamping the Model R end seal to both casing and carrier pipes.These seals are excellent for eliminating the possibility of foreign material entering the opening between carrier and casing pipes.